Whether you’re driving a new car or investing in a new battery, there is a normal lifespan of a battery you can expect. But normal is relative. Every driver and every battery life experience is unique. According to the mechanics at Mount Airy Chrysler Dodge Jeep Ram Fiat, the average life expectancy for your car battery is typically 4-6 years. However, there are several things that determine how long your battery will last. Things like weather and driving conditions affect the life of a battery. The type of car being supported by a battery matters, as well as how many accessories are connected to this power source. How long you drive also mean something to your battery. Many short trips mean your battery never gets fully charged. And an undercharged battery will have a shorter life. Keep your car in the garage. A cold battery puts more strain on our battery. Keep the cables clean from corrosion. Check levels of electrolyte, adding water to fill holes. Check the condition and charge of the battery. The outer casing of a battery is made of hard, strong plastic, however inside the plastic box are plates of materials like lead and lead dioxide. These plates are suspended in a mix of water and sulfuric acid, which forms an electrolytic solution. This solution allows electrons to flow between plates – that flow of electrons is essentially electricity. These are just a few indicators that your battery might be getting to the end of it life. Here at Mount Airy Chrysler Dodge Jeep Ram FIAT, we can test your battery to get a good sense of any problems. Make an appointment or stop in our Parts Department and can also order a new battery for you. 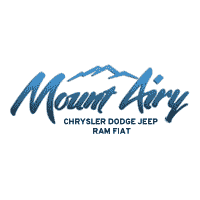 Here at Mount Airy Chrysler Dodge Jeep Ram FIAT, we’d be glad to help you understand if your battery needs replacing. We’re always here to help. Stop in to learn more about the Mount Airy Advantage, Smart Car Buying from Nice People.